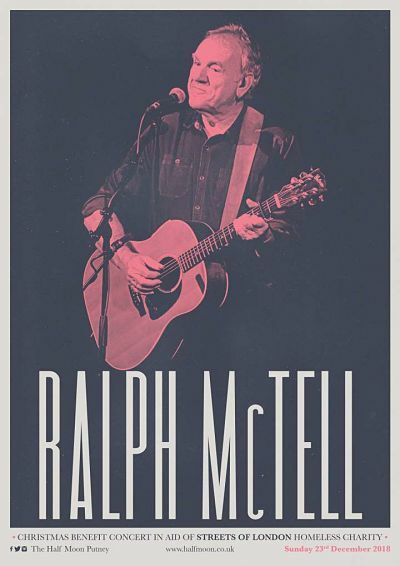 Streets of London is honoured to announce that Ralph McTell has become an ambassador for the charity, joining existing ambassadors Ellie Goulding, Dan Smith (Bastille) and Justin Young (The Vaccines). We're very grateful that he has chosen to support our work in this way. The charity’s director Ian Steuart Fothringham said: "Streets of London funds specialist support for people who are homeless in the capital and raises awareness about the issue. We exist to get homeless people the support they need to turn their lives around. 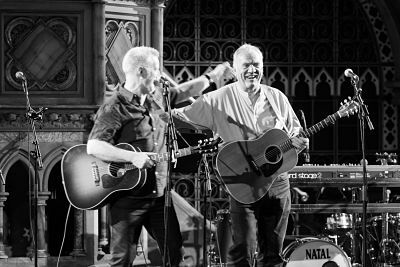 We're absolutely delighted that Ralph McTell has agreed to become an ambassador of the charity. The charity is of course named after his song of the same name, so it's wonderful to have him supporting Streets of London's work." Ralph said "I am very happy that my song, Streets of London, has added to the growing awareness of the tragedy of homelessness and proud that the song title had been adopted by the charity. Being asked to become an ambassador for the charity was something I was not expecting, but I am delighted to accept and support them, where I can, in the great work they do." Watch Ralph talking about his involvement with the charity HERE. Each year Ralph holds a special Christmas benefit concert at pub and live music venue The Half Moon in Putney, and we’re delighted that this year he has generously chosen to support Streets of London with the proceeds from the show. Tickets for the event, on Sunday 23rd December, are available now. Join Ralph and special guests on the 23rd of December for a one-off show with a very small sprinkling of Christmas cheer. Tickets include a glass of mulled wine, or hot gin, and a mince pie!